Break the limits of your conventional printer driver! With PrintFab you can reproduce digital images with brillant colors and highest color accuracy - or enable its unique inksave feature to make high quality printouts with low ink consumption. 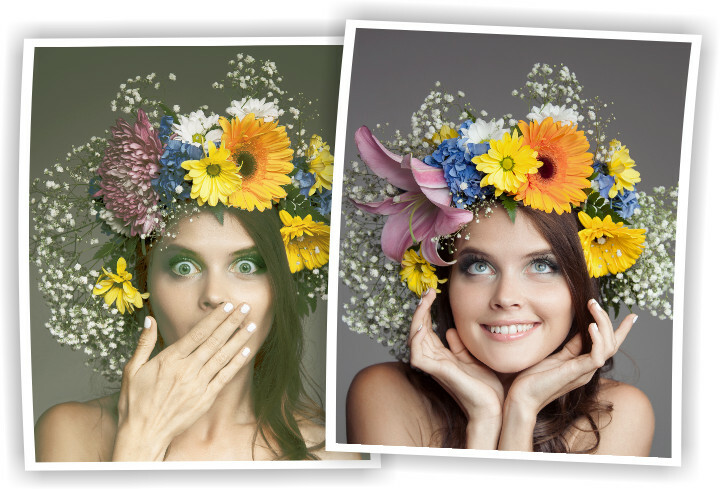 Choose from a wide range of inkjet media: Printfab also supports photo paper from other manufacturers, e.g. “Kodak” and “Ilford”. 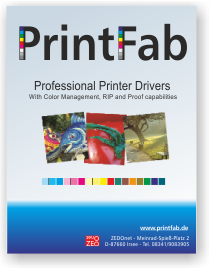 Even using compatible ink cartridges you can print with exact colors thanks to our PrintFab profile creation service. PrintFab informs you how much ink is used for each page. The intelligent ink saving system reduces ink consumption by 25-50% without producing pale looking pictures - on the first glance you won’t even notice the difference! A special feature is the PrintFab color profile service: We create individual color profiles for your printer, paper and ink at a very affordable price. With the necessary measurement equipment, you can also create your own ICC profiles and import them into PrintFab. Using PrintFab Pro's CMYK proof mode you can print CMYK Postscript and PDF documents with accurate colors. Download and try the free PrintFab test version (fully operational for 30 days).